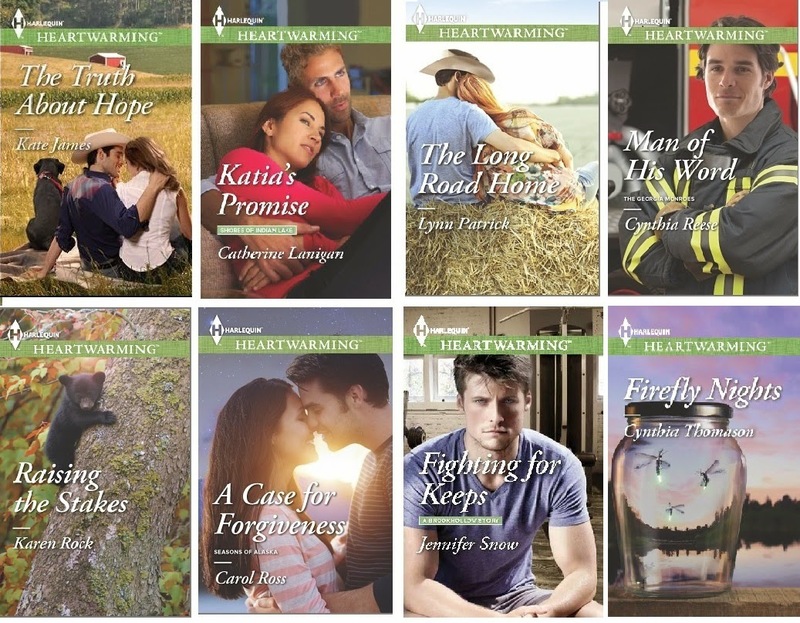 After the long, harsh winter most of us endured, what better way to celebrate spring—and our April and May Heartwarming releases—than with an exciting new giveaway? As with any celebration, the more the merrier, and we hope you will join us. First, here are the beautiful covers of the April and May books . . .
And here’s what we have planned to warm your heart and chase away any lingering winter blahs. 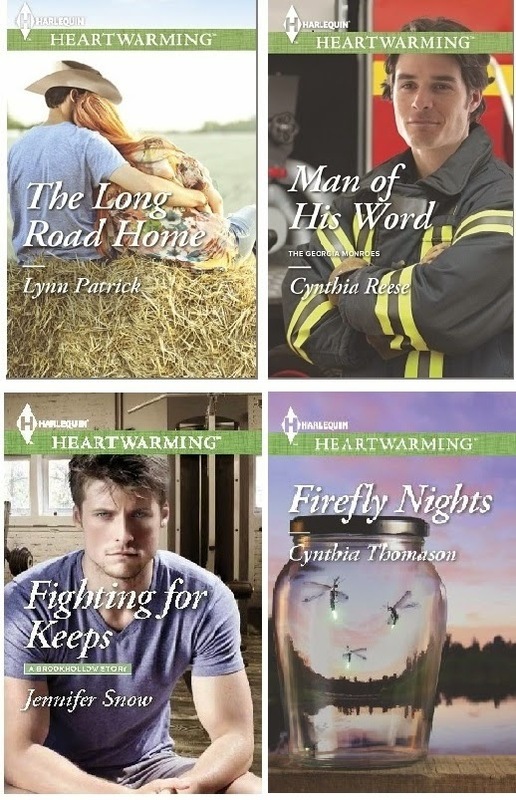 All eight Heartwarming authors with April and May releases have teamed up to offer two prize packs of four books each. We will also give away one grand prize consisting of all eight books and a stunning mix of “ever-blooming” spring garden flowers, for use indoors or out. These are gifts you can enjoy time and again, as you can read our books over and over, and the flowers won’t fade when winter threatens, since they're steel, painted in bright colors. These books are certain to provide hours of springtime reading pleasure! Another set of four wonderful stories you will surely enjoy! 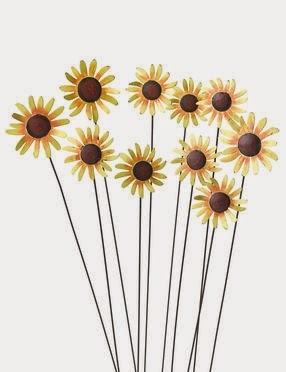 Finally, our grand prize winner will receive all eight books, along with an “ever-blooming” spring garden, consisting of a bouquet of 13 white daisies, two periwinkle blue alliums and a set of 13 black-eyed Susans, a retail value of over $150 US, before shipping. Now if that isn’t enough, we have a bonus book for each prize pack. Harlequin MIRA and Harlequin Intrigue author Elizabeth Heiter will include one of her recent releases—winner’s choice—in each of the prize packs. There are three exciting prize packs waiting to be won. The contest runs until April 25th. Enter as often as you like. Post a comment right here on our blog for two entries, visit our Facebook pages, follow us on Twitter, and tweet about the contest once a day while it's running! And check back here on April 26th to see if you are a lucky winner! Happy spring . . . and happy reading! Must reside in the US/CAN for print copies; if outside these countries ebooks only will be sent from the prize packs. You must be at least 13 years old to enter and if under 18 must have adult or guardian permission. This giveaway is in no way affiliated with Facebook, Twitter, Google or any other entity other than the authors involved. Void where prohibited by law. 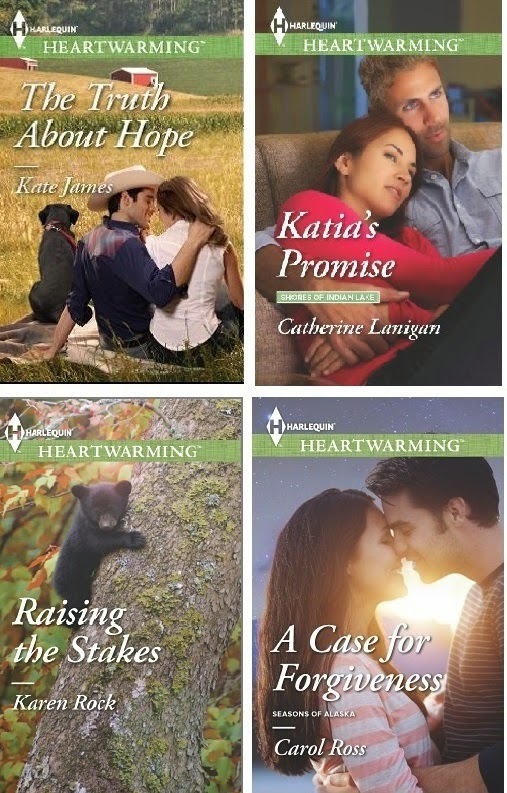 Thank you for featuring our Harlequin Heartwarming Spring Fling giveaway on your blog.